Length: 306mm. Image shows assembled and painted kit. 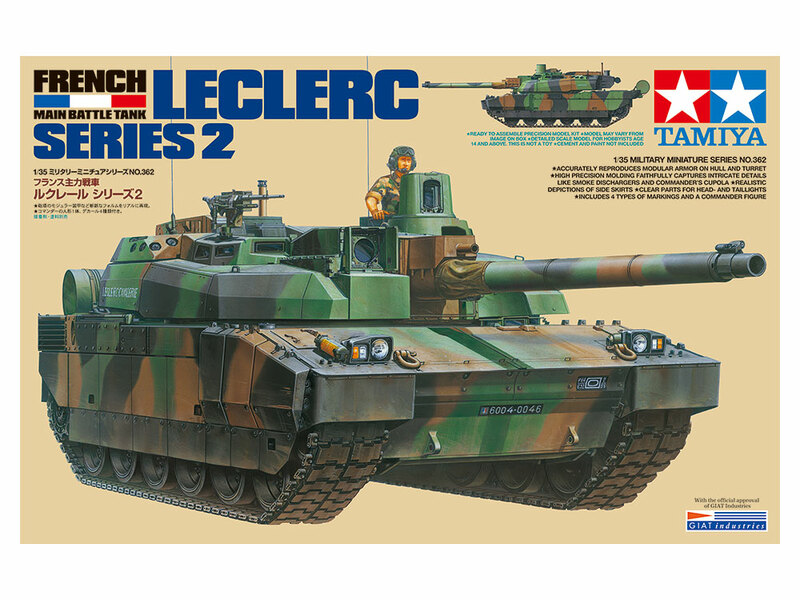 A number of cutting-edge features ensured that the Leclerc was among the leading armor designs of its era, including an advanced electronics system which controls its main functions and maintains a data link with surrounding assets and command HQ. 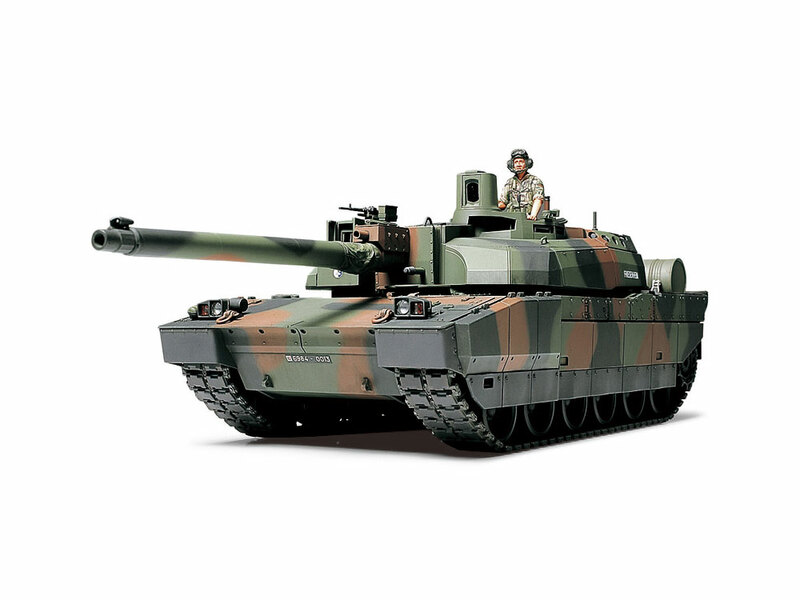 The eye is drawn to the sleek lines of the turret and powerful 120mm smoothbore gun, which has an auto-loading device that permits a fire rate of 6 rounds in 35 seconds. Modular armor facilitates faster and more efficient repair work. 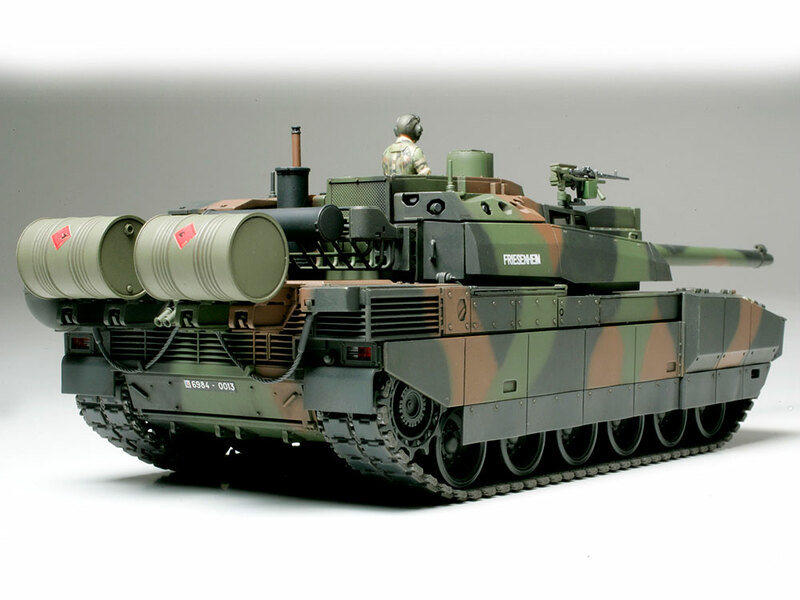 132 Series 1 tanks were produced for service, before in 1997 they were replaced on the production line by the Series 2, which has an air conditioner to cool the computer system among other improvements. 178 were manufactured between 1997 and 2003. ★This is a 1/35 scale plastic model assembly kit. Length: 306mm, width: 104mm. ★Accurately reproduced modular armor on hull and turret. 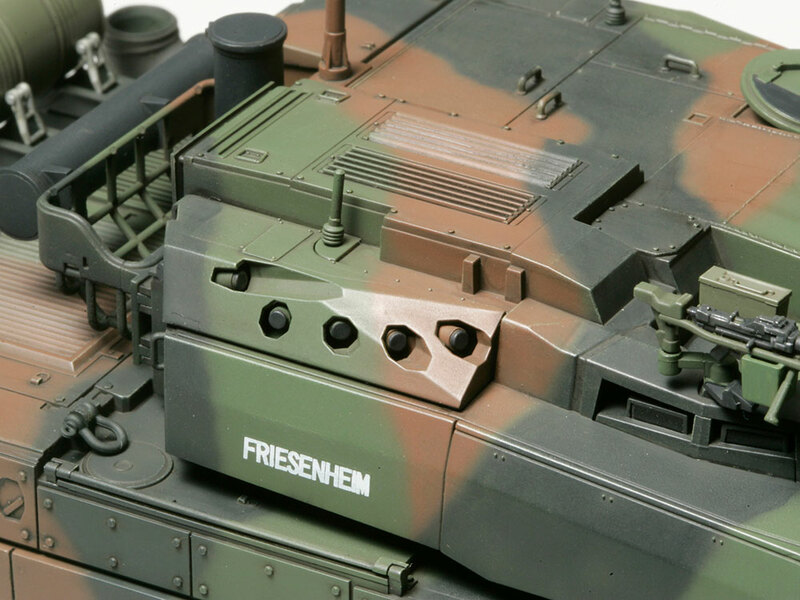 ★High precision molding faithfully captures intricate details like smoke dischargers and commander's cupola. ★Realistic depictions of side skirts. ★Molded plastic road wheel parts. ★With commander figure and 4 marking options included. ★Left: Commander's post features rotating sight, periscope with clear lenses, and 1 commander figure. 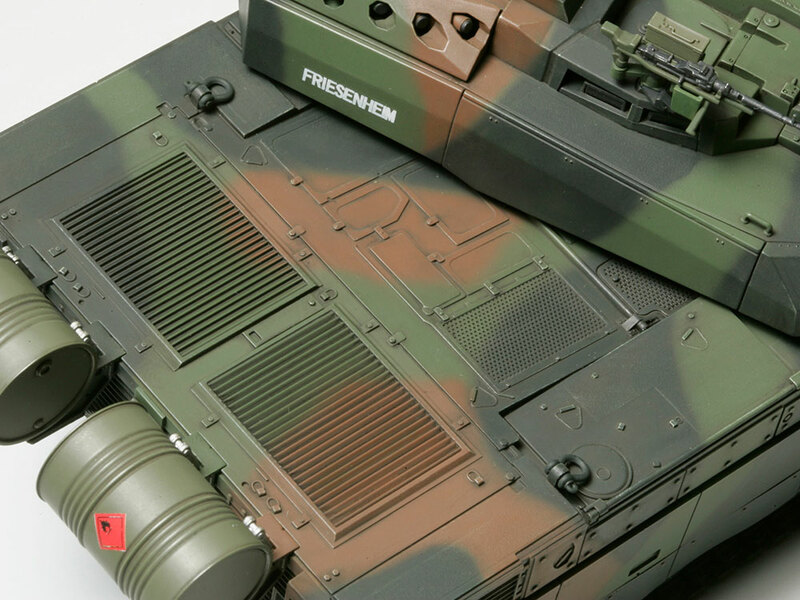 ★Right: Detailing includes recessed smoke dischargers, and air-conditioning unit unique to Series 2 tanks. 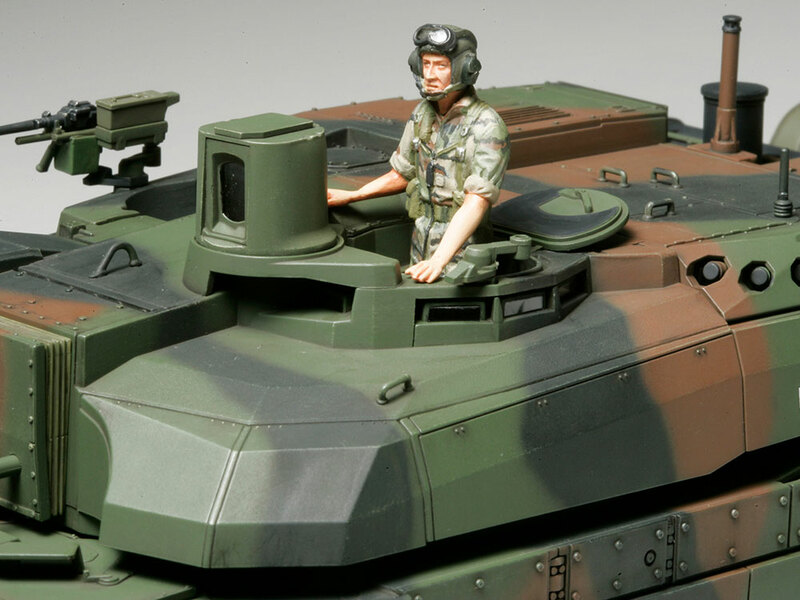 ★Left: Rear hull includes detailed engine grille and sections reproducing the non-slip finish of the actual tank. ★Right: Intricate rear hull detailing includes external fuel tank, fuel tank pipe stay and fuel tank stays. Information is correct as of July 23, 2018. Specifications are subject to change without notice.